In academic life, the name of the game is publish or perish, yet it is hard to find a mentor who will teach you how to write and publish your research. 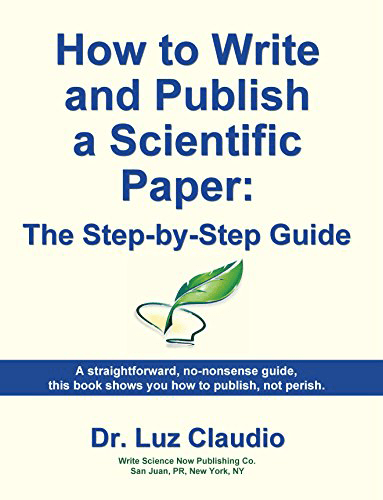 This book will guide you through the process of writing your paper in small, doable steps. It is all here! Spend less time reading and more time writing and publishing your own work. This book gives you examples, workbook-style sections, fill-in exercises and practical tips and hacks. You will not just read about writing, you will write your science now! I understand that by submitting this form I will receive occasional notices, blog posts and other information. I may unsubscribe at any time.